The two-time world champ is now on eUnited’s bench. Two-time Call of Duty world champion Jordan “JKap” Kaplan has been replaced by 18-year-old Chris “Simp” Lehr on eUnited’s starting roster, the organization announced today via Twitter. JKap will be moved to the substitute role on the team. Simp, who became eligible to compete in Call of Duty World League events in February, won the $75,000 open bracket at CWL Fort Worth on March 17 in his first CWL offline event. At the same event, eUnited struggled in pool play and then the championship bracket, finishing the tournament with a top 16 placing after losing to 100 Thieves. JKap joined eUnited in October 2018 after a top-six finish with Luminosity at the 2018 CWL Championship. 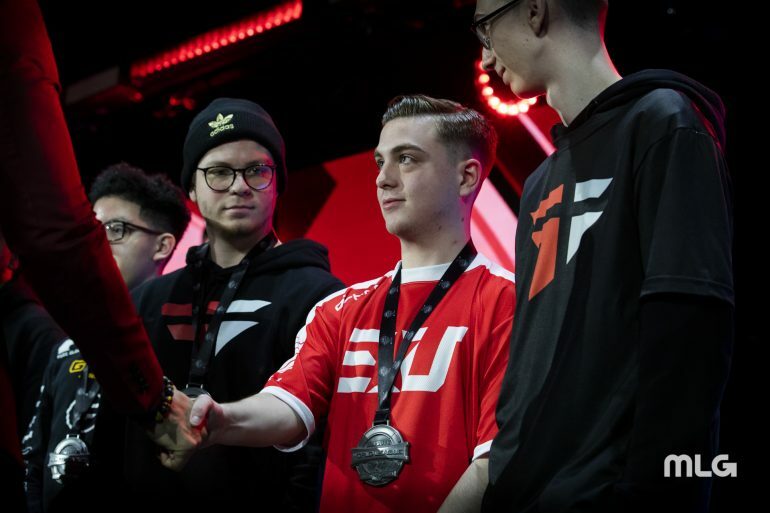 Between him and team captain James “Clayster” Eubanks, eUnited came into Black Ops 4 as one of the most experienced teams in the world. And after a second-place result at the CWL Las Vegas Open in December, the team appeared to be gelling very well. Unfortunately for JKap and eUnited, things did not keep running smoothly. The team, despite winning five of their first seven matches in the CWL Pro League, almost made a roster change before CWL Fort Worth, according to sources. This killed all the momentum and chemistry the team seemed to have, resulting in a disappointing performance in Fort Worth, Texas. With a young and talented player like Simp joining the team, eUnited will look to rebound from their Fort Worth showing and improve on their 5-2 league record. Simp will make his league debut on March 25, when eUnited faces Evil Geniuses, who sit in last place in Division A.